For other uses, see Vytautas (disambiguation). Vytautas (c. 1350 – October 27, 1430), also known as Vytautas the Great (Lithuanian: Vytautas Didysis (help·info), Belarusian: Вітаўт Кейстутавіч (Vitaŭt Kiejstutavič), Polish: Witold Kiejstutowicz or Witold Wielki, Ruthenian: Vitovt, Latin: Alexander Vitoldus, Old German: Wythaws or Wythawt) from the 15th century onwards, was a ruler of the Grand Duchy of Lithuania, which chiefly encompassed the Lithuanians and Ruthenians. He was also the Prince of Hrodna (1370–1382), Prince of Lutsk (1387–1389), and the postulated king of the Hussites. In modern Lithuania, Vytautas is revered as a national hero and was an important figure in the national rebirth in the 19th century. Vytautas is a popular male given name in Lithuania. In commemoration of the 500-year anniversary of his death, Vytautas Magnus University was named after him. Monuments in his honour were built in many towns in the independent Lithuania during the interwar period from 1918 to 1939. Vytautas' uncle Algirdas had been Grand Duke of Lithuania until his death in 1377. Algirdas and Vytautas' father Kęstutis had ruled jointly in the form of diarchy, with Algirdas governing the east and Kęstutis the west, primarily responsible for defense against the Teutonic Order. Algirdas was succeeded by his son Jogaila, and a struggle for power ensued. In 1380, Jogaila signed the secret Treaty of Dovydiškės with the Teutonic Order against Kęstutis. When Kęstutis discovered this in 1381, he seized Vilnius, imprisoned Jogaila, and made himself Grand Duke. However, Jogaila escaped and raised an army against Kęstutis. The two sides confronted each other but never engaged in battle. Kęstutis was ready to negotiate, but he and Vytautas were arrested and transported to Kreva Castle. One week later, Kęstutis was found dead. Whether he died of natural causes or was murdered is still a matter of debate. In 1382, Vytautas escaped from Kreva. He sought help from the Teutonic Order, who were negotiating with Jogaila at the time. Jogaila and the Order agreed to the Treaty of Dubysa, by which Jogaila promised to accept Christianity, become an ally of the Order, and give the Order part of Samogitia up to the Dubysa River. However, the treaty was never ratified. In summer 1383, the war between Jogaila and the Order resumed. Vytautas was baptised as a Catholic, receiving the name of Wigand (Lithuanian: Vygandas). Vytautas participated in several raids against Jogaila. In January 1384, Vytautas promised to cede part of Samogitia to the Teutonic Order, up to the Nevėžis River in return for recognition as Grand Duke of Lithuania. However, in July of the same year, Vytautas broke with the Order and reconciled with Jogaila. He then burned three important Teutonic castles, and regained all Kęstutis' lands, except for Trakai. In 1385, Jogaila concluded the Union of Krewo with Poland, under which he married Jadwiga of Poland and became King of Poland as Władysław II Jagiełło. Vytautas participated in the Union and in 1386 was re-baptised as a Catholic, receiving the name Alexander. Jogaila left his brother Skirgaila as regent in Lithuania. However, Skirgaila was unpopular with the people and Vytautas saw an opportunity to become Grand Duke. In 1389, he attacked Vilnius but failed. 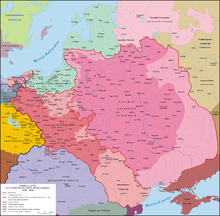 In early 1390, Vytautas again allied with the Teutonic Order. Vytautas had to confirm his agreement of 1384, and cede Samogitia to the Order. His army now invaded Lithuania. Also, to gain more influence, Vytautas married his only daughter Sophia to Vasili I of Russia in 1391. The Polish nobles were unhappy that their new king spent too much time on Lithuanian affairs. It was clear that the war could continue for years and would not bring any benefit to Poland. In 1392, Jogaila sent Henry of Masovia with an offer to make Vytautas regent instead of Skirgaila. Vytautas accepted and again broke with the Order. He burned three Teutonic castles and returned to Vilnius. Jogaila and Vytautas signed the Astrava Treaty in which Vytautas recovered all Kęstutis' lands, including Trakai, and was given more. Vytautas would rule Lithuania in the name of Jogaila. After Vytautas' death, all his lands and powers would revert to Jogaila. Vytautas continued Algirdas' vision to control as many Ruthenian lands as possible. Much of the territory was already under the Grand Duke's rule, but the rest was controlled by the Mongols. Tokhtamysh, Khan of the Golden Horde, sought help from Vytautas when he was removed from the throne in 1395 after his defeat by Timur. An agreement was reached that Vytautas would help Tokhtamysh to regain power, and the Horde would cede more lands to the Grand Duchy of Lithuania in return. In 1398, Vytautas' army attacked a part of the Crimea and built a castle there. Now Lithuania spanned from the Baltic Sea to the Black Sea. A number of Tatar captives were brought to ethnic Lithuania. Inspired by this successful campaign, Vytautas and Jogaila won support from Pope Boniface IX for organising a crusade against the Mongols. This political move also demonstrated that Lithuania had fully accepted Christianity and was defending the faith on its own, and that the Teutonic Knights had no further basis for attacks against Lithuania. The campaign resulted in a crushing defeat at the Battle of the Vorskla River in 1399. Over twenty princes, including two brothers of Jogaila, were killed, and Vytautas himself barely escaped alive. This came as a shock to the Grand Duchy of Lithuania and Poland. A number of territories revolted against Vytautas, and Smolensk was retaken by its hereditary ruler, George of Smolensk and not re-conquered by Lithuanians until 1404. Vytautas waged a war in 1406–1408 against his son-in-law Vasili I of Moscow and Švitrigaila, a brother of Jogaila who with the support of the Teutonic Order had declared himself grand prince. A major stand-off between the two armies ended without a battle in the Treaty of Ugra, by which Velikiy Novgorod was granted to Jogaila's brother Simeon Lingwen, and the important city of Pskov to Jogaila's envoy Jerzy Nos, the latter settlement a clear violation of the treaty of Raciąż. The war with Muscovy ended in December 1408, on terms that made further conflict with the Teutonic Order inevitable, despite Hermann II of Celje's attempt to negotiate a solution. In preparation for the crusade against the Golden Horde in 1398, Vytautas had signed the Treaty of Salynas with the Teutonic Knights and transferred Žemaitija Samogitia to them. Žemaitija/Samogitia was especially important for the Order because it separated the Teutonic Knights, based in Prussia, from the Livonian Order, based in Latvia. The two orders desired to unite and form a mighty force. However, the knights ruled Žemaitija for only three years, because on March 13, 1401, the Samogitians, supported by Vytautas, rebelled and burned two castles. The knights received support from Švitrigaila, brother of Jogaila, who desired to take Vytautas' title. In 1404 Peace of Raciąż was signed, which in essence repeated the Treaty of Salynas: Žemaitija/Samogitia was transferred to the Teutonic Knights. Poland promised not to support Lithuania in case of another war. The knights promised to support Vytautas in the east and not to support any Gediminid who could have claims to the title of Grand Duke of Lithuania. However, the treaty did not solve the problems, and all the parties prepared for war. In 1408, Vytautas reached peace in the east and returned to Samogitian matters. In 1409 the second Samogitian uprising against the Teutonic Knights began, as the rebels burned Skirsnemunė castle. Both Poland and Lithuania supported the rebels. Vytautas gathered a large army from 18 lands under his control. The army joined Polish forces and advanced towards the Teutonic headquarters at the castle of Marienburg (present-day Malbork). In 1410, Vytautas himself commanded the forces of the Grand Duchy in the Battle of Grunwald, also called the Battle of Žalgiris (Lithuanian) or Tannenberg (German). The battle ended in a decisive Polish-Lithuanian victory. Even though the siege of Marienburg was unsuccessful, the Teutonic Knights never regained their strength and from then on posed a reduced threat to Poland-Lithuania. As a result of the Peace of Thorn of 1411, Vytautas received Žemaitija (Samogitia) for his lifetime. However, the parties could not agree on the border. Sigismund, Holy Roman Emperor, agreed to mediate the dispute. In 1413, it was declared that the whole right bank of the Nemunas (Neman River) was Žemaitija and therefore belonged to Lithuania. The Teutonic Knights disagreed and a new war started in 1414. The war lasted for just a few months, and the dispute was brought to the Council of Constance. Even though the dispute was not resolved, the Samogitians had a chance to present their case to the leaders of Europe. It is seen as an important event in the diplomatic history of Lithuania. Several other mediation attempts failed, and yet another war with the Teutonic Order started in 1422. After several months of fighting, the Treaty of Lake Melno was signed. Žemaitija/Samogitia was returned to Lithuania in perpetuity, while the city of Memel (present-day Klaipėda) and surrounding territories stayed with the Order. This border, as established by the treaty, remained stable for some 500 years until the Memel Territory dispute of 1923. With peace established, Vytautas could now concentrate on reforms and the relationship with Poland. In 1399 Jadwiga of Poland and her newborn died in childbirth. Jogaila's power in Poland was jeopardised as he was a foreigner king with no other ties to the throne but his wife. Also, the defeat at Vorskla forced a re-evaluation of the relationship between Poland and Lithuania. The result was the Union of Vilnius and Radom in 1401. Vytautas was granted wide autonomy, but after his death the title and powers of Grand Duke of Lithuania were to be transferred to the king of Poland or vice versa. In case Jagiełło died first without an heir, the Polish nobility agreed not to elect a new king without consulting Vytautas. 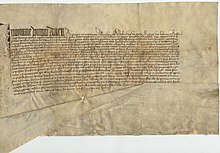 The unique feature of this union was that the Lithuanian nobility presented their own document: for the first time somebody other than dukes played a role in the state matters. Vytautas was one of the creators of the Union of Horodło with Poland in 1413. According to the act of the union, the Grand Duchy of Lithuania was to retain a separate Grand Duke and its own parliament. At the same time both the Polish and Lithuanian Sejms were to discuss all the important matters jointly. 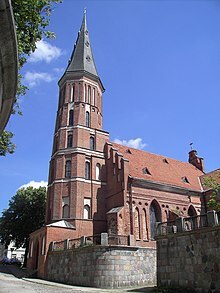 This union was important culturally as well as politically because it granted Lithuanian Christian nobles the same rights as the Polish szlachta. This act did not include Orthodox nobles. This paved the way for more contacts and cooperation between the nobles of Poland and of Lithuania. 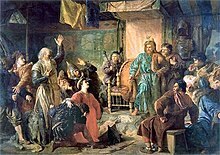 In January 1429, at the Congress of Lutsk Vytautas received the title of King of Lithuania with the backing of Sigismund, Holy Roman Emperor, but the envoys who were transporting the crown were stopped by Polish magnates in autumn of 1430. Another crown was sent, but Vytautas died in the Trakai Island Castle several days before it reached Lithuania. He was buried in the Cathedral of Vilnius. The knowledge about his remains has been lost. According to 1911 Encyclopædia Britannica, Vytautas "was certainly the most imposing personality of his day in Eastern Europe, and his martial valour was combined with statesmanlike foresight." Vytautas backed the economic development of his state and introduced many reforms. Under his rule the Grand Duchy of Lithuania gradually became more centralised, as local princes with dynastic ties to the throne were replaced by the governors loyal to Vytautas. The governors were rich landowners who formed the basis for the Lithuanian nobility. During Vytautas' rule, the influential Radvila (Radziwiłł) and Goštautas families began their rise. In 1398, Vytautas brought over families of the Karaim (388 families) and Tatar peoples. Their principal role was to guard the castle and the bridges, but they also served as translators, farmers, traders, and diplomats. He retains a very high reputation among them, with the anniversary of his death being officially celebrated in 1930 in the kenesa in Vilnius. Vytautas beside his uncle Algirdas on the Millennium of Russia in Veliky Novgorod. Born in 1350 in the castle of present-day Old Trakai (Senieji Trakai), Vytautas was the son of Kęstutis and his wife Birutė. Vytautas was a cousin and childhood friend of Jogaila (Władysław II Jagiełło), who became King of Poland in 1386. Around 1370, he married Anna, who gave birth to Sophia of Lithuania. Sophia was married to Vasily I, Grand Prince of Moscow, and mother and regent to their son Vasili II. After Anna's death in 1418, Vytautas married her niece Juliana Olshanska, daughter of Ivan Olshanski who outlived him. Because of the relationship between the two women, the Bishop of Vilnius was unwilling to perform the ceremony without a papal dispensation; however, Jan Kropidło did not have such scruples and married them on 13 November 1418. According to the 16th century Bychowiec Chronicle, his first wife was Maria Łukomska, however, this is not confirmed by other sources. Vytautas appears in several works of fiction dealing with the Polish-Lithuanian conflict with the Teutonic Order. He appears in the narrative poem Konrad Wallenrod by Adam Mickiewicz. He was portrayed by Józef Kostecki in Knights of the Teutonic Order, the 1960 adaptation of the famous novel by Henryk Sienkiewicz. In 2014, a short animation was produced by "Four Directions of Fairy Tales" (Cztery Strony Bajek) in association with the Association of Polish Karaims, portraying the Karaim story of Vytautas and his magic horse, with voiceovers in several languages, including Karaim, Polish, English, and Lithuanian. Wikimedia Commons has media related to Vytautas the Great. ^ a b "Vytautas the Great". Encyclopedia Britannica. Retrieved 2019-02-16. ^ Mickūnaitė, Giedrė (2006-01-01). Making a Great Ruler: Grand Duke Vytautas of Lithuania. Central European University Press. ISBN 9789637326585. ^ Turnbull, Stephen (2004). The Hussite Wars 1419-36. Ospreypublishing. p. 11. ISBN 1-84176-665-8. ^ Paweł Jasienica (1988). "Władysław Jagiełło". Polska Jagiellonów (in Polish). Warsaw: Państwowy Instytut Wydawniczy. ISBN 83-06-01796-X. ^ Tekla Wołowska (1860). Historya Polska (Polish History) (in Polish). Paris: L. Martinet. p. 433. ^ Antoni Prochaska (1908). Król Władysław Jagiełło (in Polish). Kraków: Akademia Umiejętności. p. 240. ^ "Guide to Trakai Historical National Park" (PDF) (in Polish). Retrieved 9 December 2014. ^ Narbutt, Teodor (1847). Dzieje starożytne narodu litewskiego. Vilnius. pp. 562–3. ^ Tęgowski, Jan (1999). Pierwsze pokolenie Giedyminowiczów. Poznań-Wrocław: Wydawnictwo Historyczne. Wikisource has the text of the 1911 Encyclopædia Britannica article Witowt. (in Lithuanian) Inga Deidulė, Vytauto Didžiojo įvaizdžio genezės mįslė, - "ieškokite moterų", Vartiklis. Accessed May 20, 2006. (in Lithuanian) Andrius Mingėla, Vytautas Lietuvos didysis kunigaikštis, Juventa high school. Accessed May 20, 2006. This page was last edited on 28 March 2019, at 20:17 (UTC).